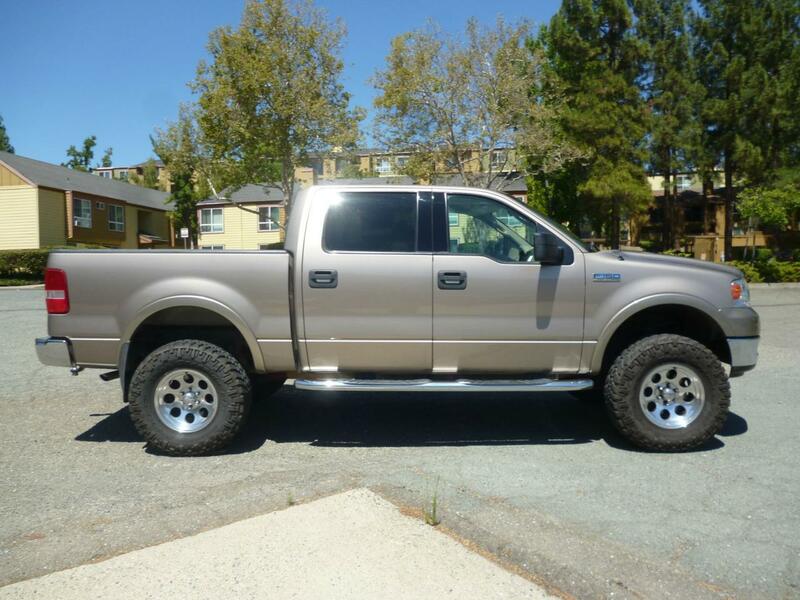 The time has come to sell my F150 so I can dump some money into the house I recently bought. Asking $17,500. The truck is located in Martinez, CA (SF Bay Area). Local sale preferred. Oil changed and tires rotated on 8-11-15 @ 62,721 miles. The truck runs great and has no problems. The interior is in excellent condition and only the driver's seat and steering wheel show a bit of wear. The body is in very good condition as well. It has a few small dings and some scratches from being used as truck. The plastic trim on the exterior has faded some due to the truck living outside for almost it's whole life. It is seeping oil from somewhere. My roommate's boss owned the truck for about 10 years (I bought it from him, he owns a MB shop and took excellent care of the truck) and he could never figure out where it was coming from. It's not even enough to leak on the ground. Just wipe it off while doing an oil change and it's fine. Last edited by Strigoi; 08-16-2015 at 01:50 AM. Sold the truck yesterday to a local person from Craigslist. edit: I took $16,000 for it. Figure that might help for people that are pricing these trucks. Last edited by Strigoi; 09-03-2015 at 04:50 AM.